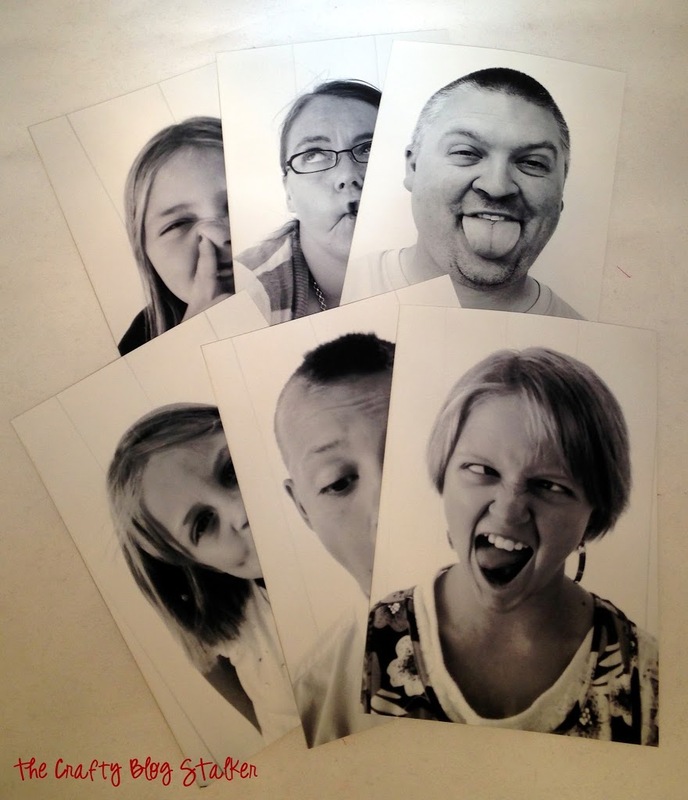 Make Family Photography fun when you can color right on top of the pictures using dry erase markers. A simple DIY craft tutorial idea. This post has been compensated as part of a Collective Bias and their client. 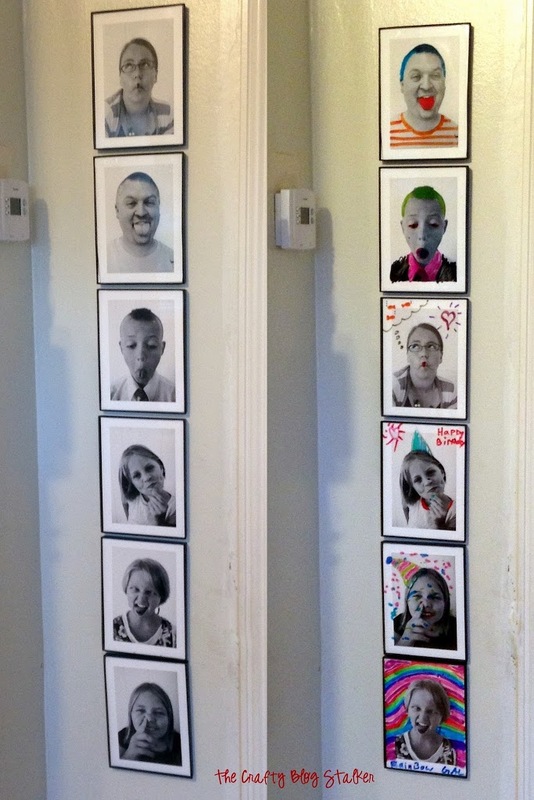 I had so much fun with this project and it waS a big hit with my kids too! 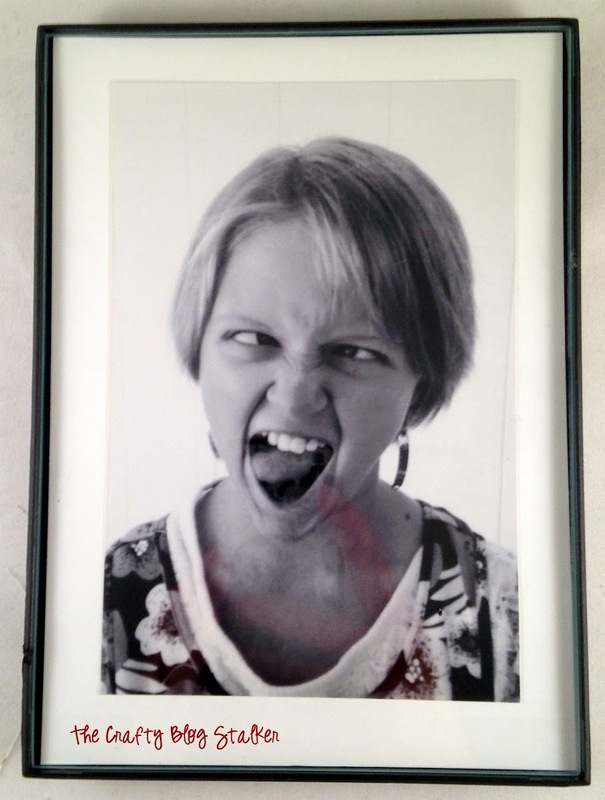 I love to have family pictures hanging in my home, but now I have FUN family photography. My favorite kinds of photos are the fun and silly ones, and I am always taking silly photos on my phone and posting them to Instagram. I took pictures with my phone, uploaded them through the Walgreens App, ordered the prints and then picked them up at my local Walgreens ! In 1 hour the prints were ready to pick up! Easy Peasy! I purchased 6 of these 5×7 inch frames. I love them because the “frame” part isn’t wide at all so it doesn’t distract you away from the actual picture. 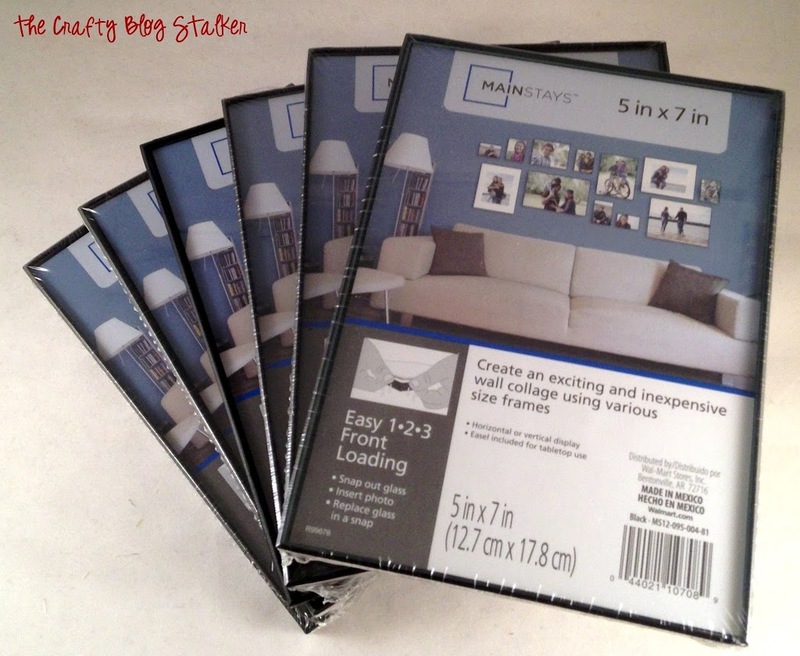 I cut white pieces of cardstock into 5 x 7 pieces and then adhered the printed pictures onto the white sheet. –> I love that this is a picture of a picture! That totally cracks me up! I am strange, I know. Then I popped it into the frame. 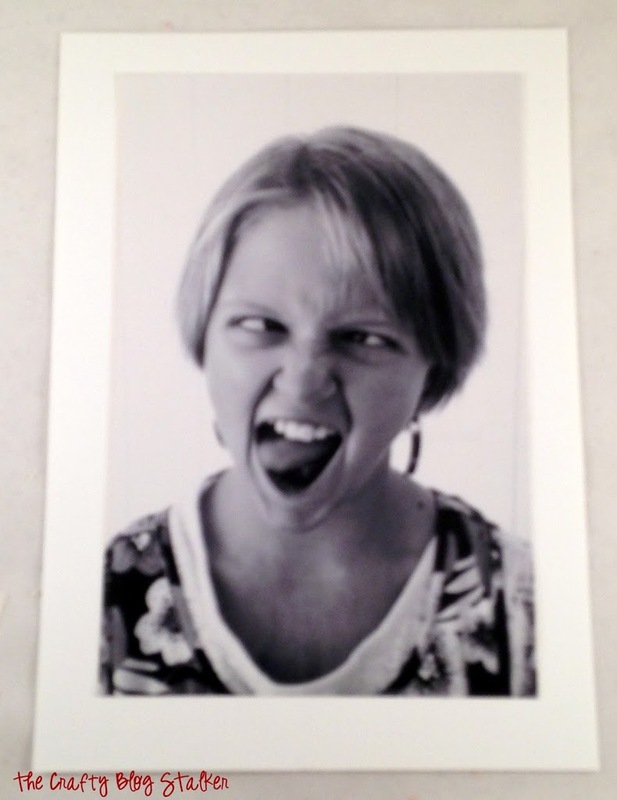 Such a beautiful and serious picture of my oldest daughter. Now it’s time to have fun! 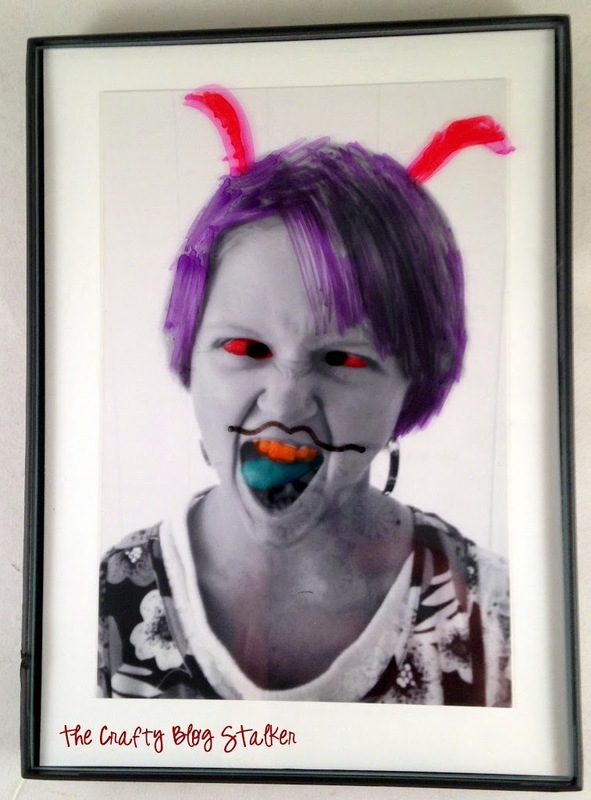 Using dry erase markers I can show you what she really looks like. This is actually how she looks when you wake her up in the mornings. Since we use dry erase markers we can draw, erase and draw again. The kids had so much fun, and this kept them entertained for a very long time. And they came up with some great drawings! I have a small ugly corner in my kitchen that is just very blah. So I thought that would be a great place to hang out beautiful in color portraits. 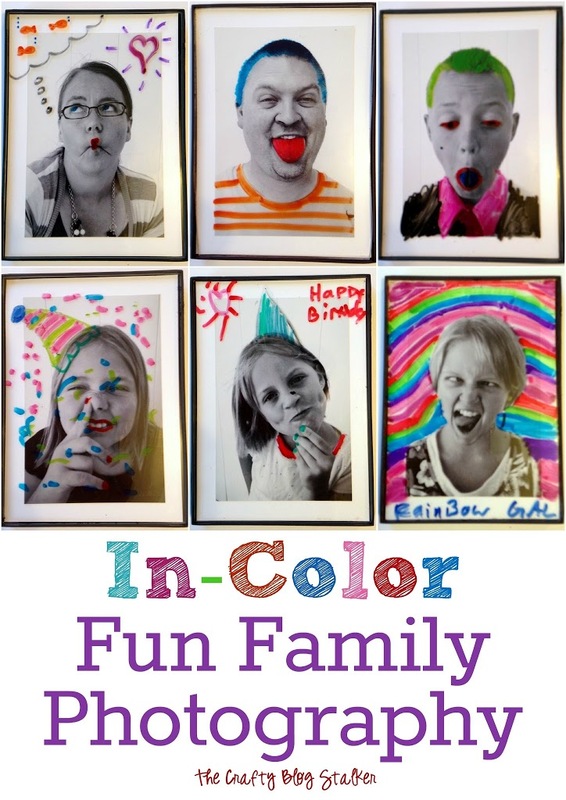 SAVE HOW TO MAKE COLOR FUN FAMILY PHOTOGRAPHY TO YOUR FAVORITE DIY PINTEREST BOARD! I am slightly addicted to photo apps so I will have to check this one out! Cute pics. That is such a fun idea! Much more interesting than all those “posed” pictures! 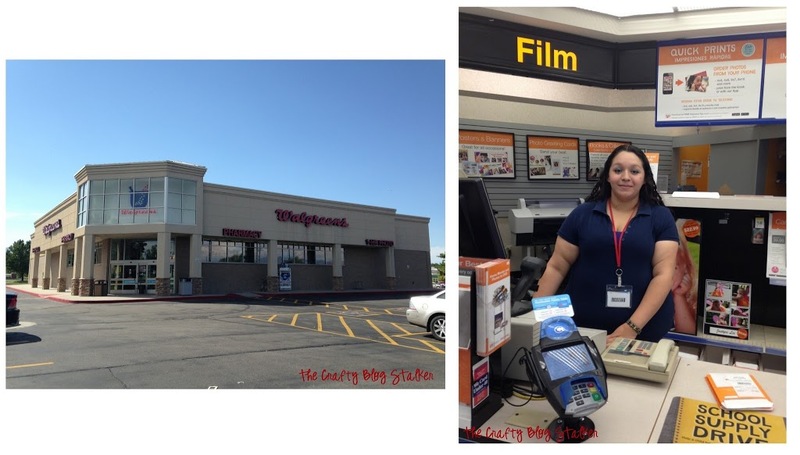 And, cool that you can print from your phone to Walgreens. Good to know! Lol! This is such a great idea! I’ll have to try that photo app out! So much fun!! I want to play!! 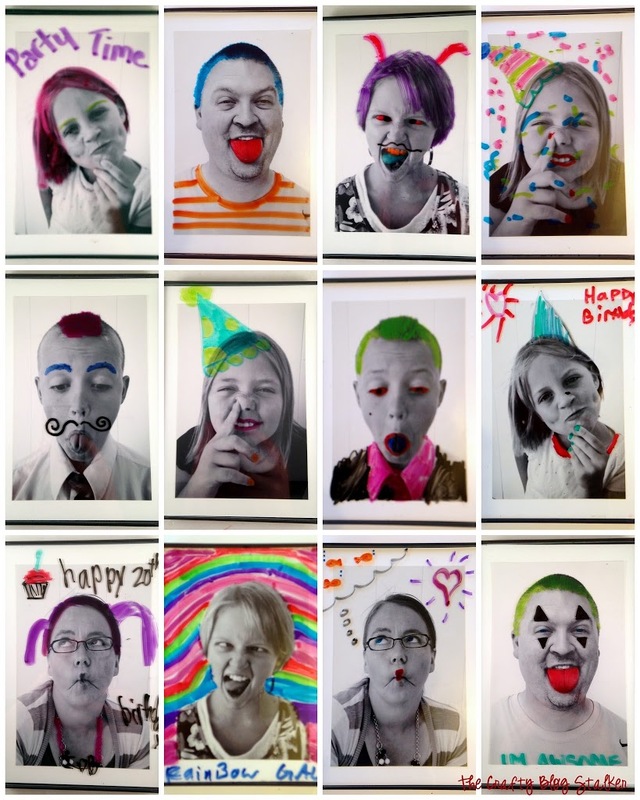 So fun Katie – your family is fun I can totally see them making these faces for your photos – love the dry erase marker idea as well! HA! Such a hilarious idea for a fun family! I love this idea! It has so much personality! And I love that the color is added with dry erase markers! This is such a fun idea!!! 🙂 Thanks so much for sharing! Love this, such awesome pictures! Haha! I love this! SO fun! Thanks for linking up to Thrifty Thursday! Thank you for sharing this on Thursday SWEET HAUTE Share! I really enjoyed this post. This looks so fun. Thanks so much for sharing with Wednesday’s Adorned From Above Link Party. Have a great week.